The Endangered red-shanked douc is a charismatic Asian colobine endemic to Vietnam, Cambodia and Laos. 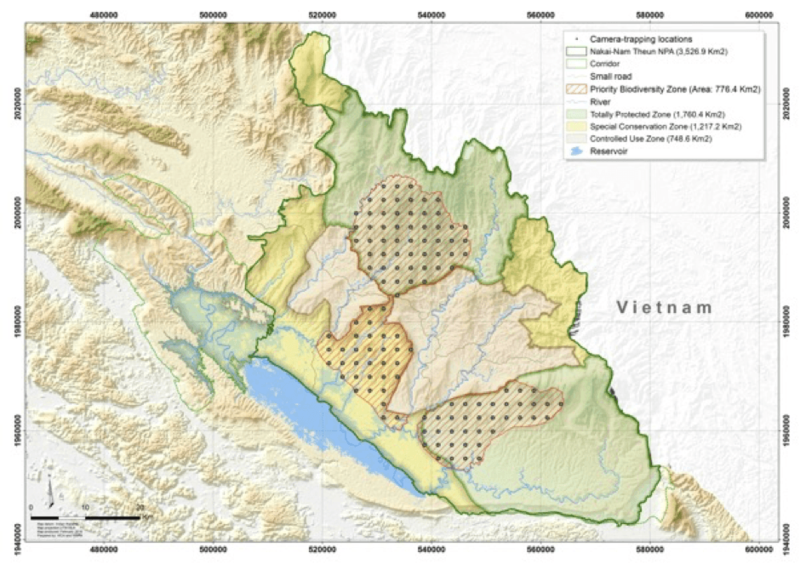 Its largest population is found in central-eastern Laos. Very little is known of the ecology of the species, with only a few long-term studies conducted on the genus Pygathrix across its range. We are currently conducting a long-term study on the behavioural ecology of the species. This will help us better plan future conservation actions. 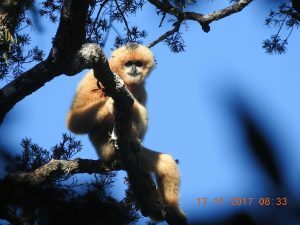 The current taxonomic status and distribution range limit of the population of gibbons occurring in Nakai-Nam Theun remains uncertain. 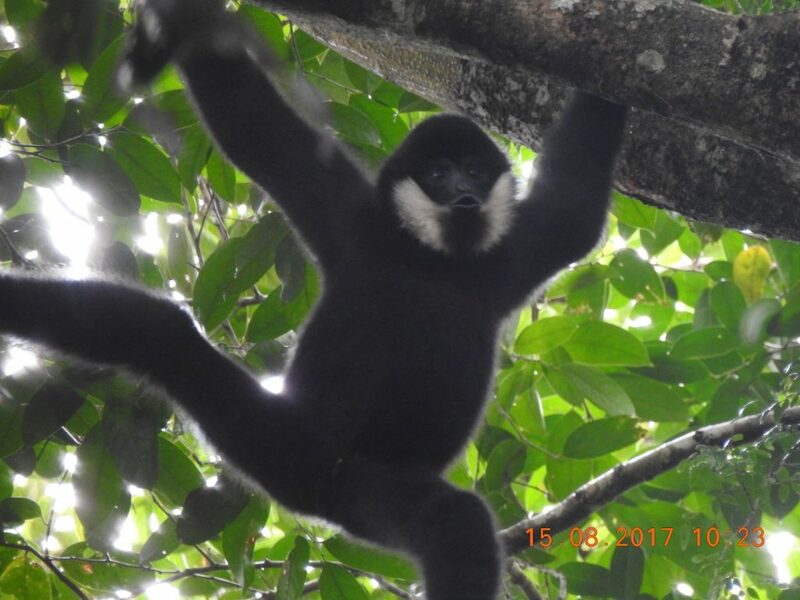 It may hold both the Northern and Southern white-cheeked gibbon, one of these two, or a hybrid population. To better plan conservation actions on these species, it is important to know their distribution across the landscape. We are currently investigating the taxonomic status and distribution of white-cheeked gibbons in the area. This is done by recording their calls, which can be identified to species with detailed computerized analysis of the sonograms. This research is conducted in collaboration with Dr. Hradec from the University of Life Science, Czec Republic. Very little is known of otter throughout Southeast Asia. 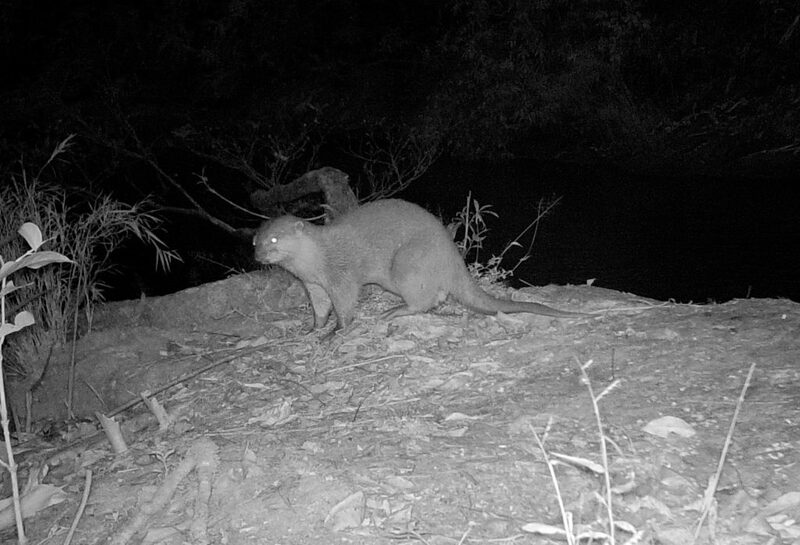 Three species have been confirmed to occur in Laos (all listed in the IUCN Red List of Threatened Species): Vulnerable Asian Small-clawed Otter Aonyx cinereus, Smooth-coated Otter Lutrogale perspicillata and Near Threatened Eurasian Lutra lutra, but their distribution and conservation status remains unknown. Otters are declining across their range due to precipitous loss of habitat, illegal trade, and decreasing prey base. Information is urgently needed on their distribution, habitat use and local threats to plan conservation actions. 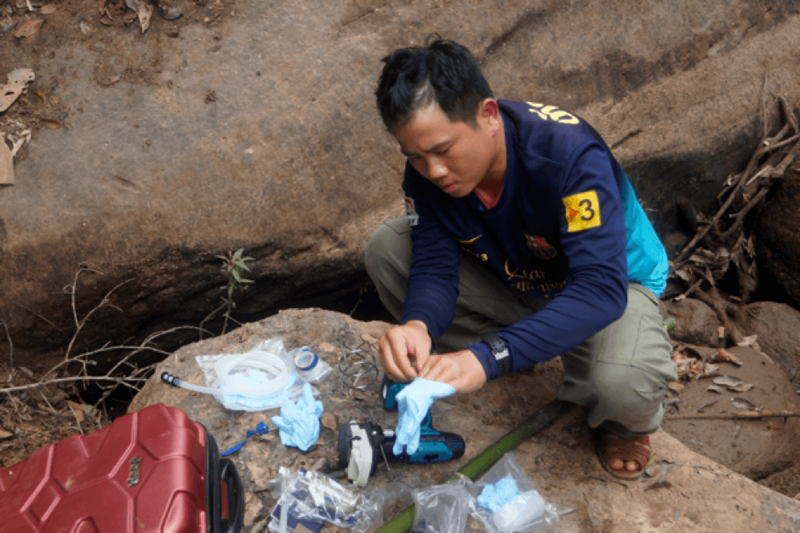 We are collecting data on the distribution and taxonomic status of otter species in Nakai-Nam Theun, in order to adopt long-term effective, on-the-ground conservation strategies for the species occurring in this area. 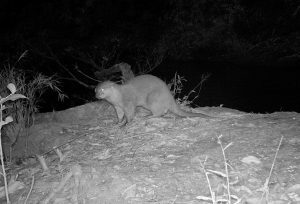 We are collaborating with the IUCN SSC Otter Specialist Group to contribute to the conservation strategy of otters in Southeast Asia. 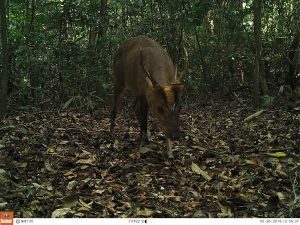 The Large-antlered Muntjac was for the first time discovered to science in 1994 in Vietnam (Tuoc et al., 1994) and concurrently in Laos (Duckworth et al., 1994; Evans and Timmins, 1995). It is native to Laos and Vietnam. 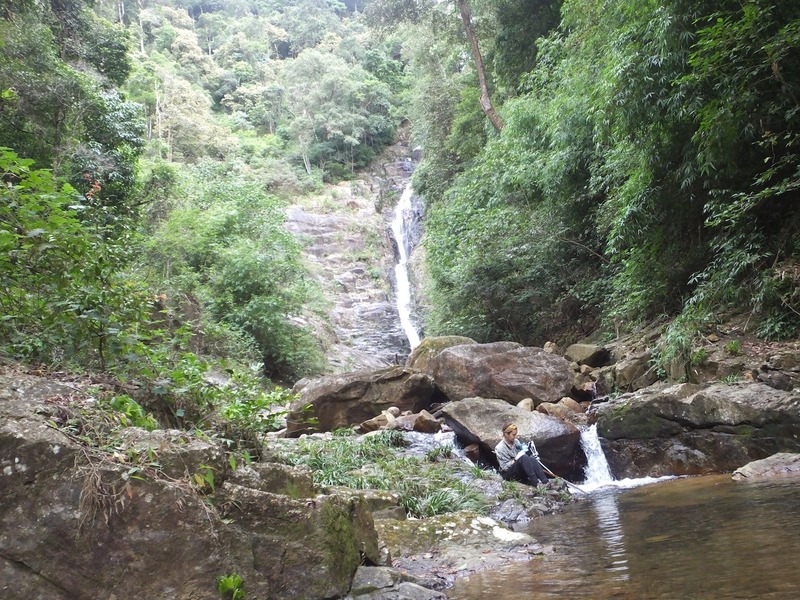 It is largely restricted to the low to mid-elevations of the Annamite Mountains. The global population is scattered in isolated populations, which, in Vietnam, are small or have recently faced local extinction. The species was up-listed from Endangered (2008) to Critically Endangered in 2016. Its global conservation status has been assessed based on the few post-2000 records (direct or indirect) across its geographic range compared to record rates pre-2000; evidence-based declines in the most healthy populations; the considerable increase in commercial and recreational wildlife hunting in the species’ range both using guns and indiscriminate snare hunting technique; the considerable reduction in suitable habitat for the species and the fact that the species is associated with mainly lowlands, which are systematically in close proximity to human settlements, where hunting for local consumption and trade has increased in the past decade. 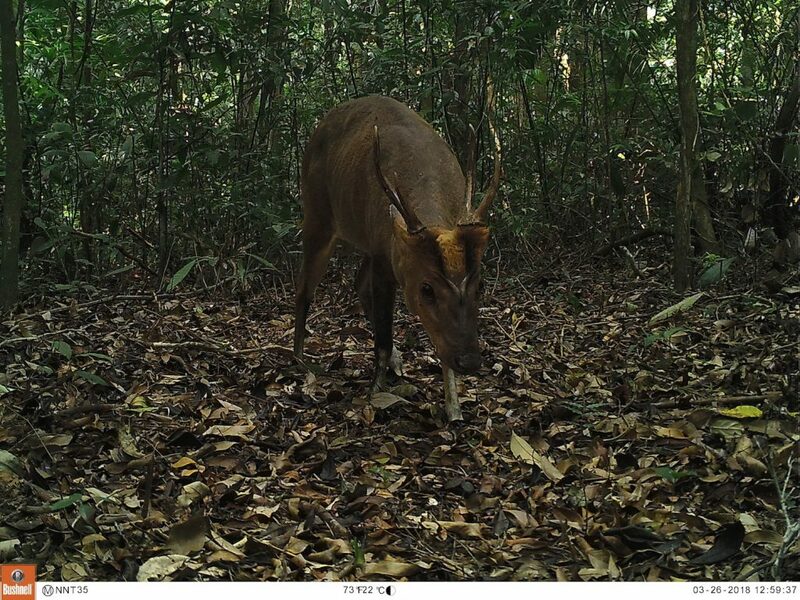 These compiled evidences have led to the conclusion that the Large-antlered Muntjac’s global population has faced a decline of over 90% in the last 20-30 years and will continue to decline at the same rate if no urgent action is taken to reverse current trends. 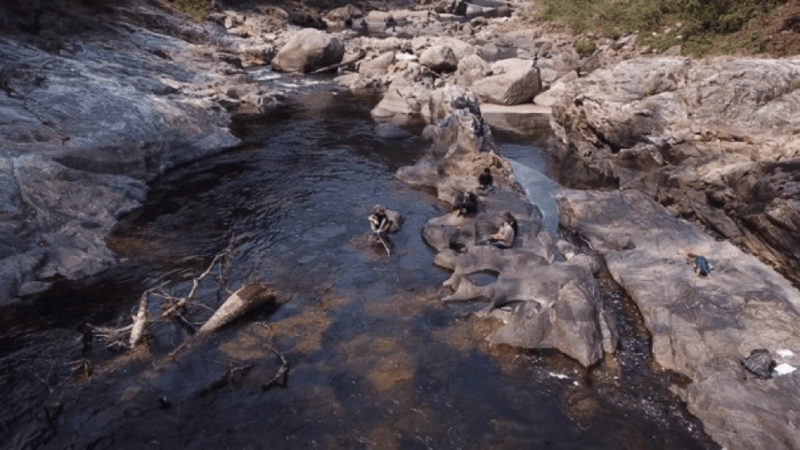 One of the largest populations in the world and likely the best hope for their long-term conservation is in Nakai-Nam Theun. 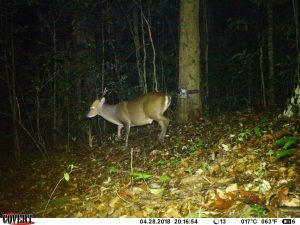 We are conducting camera-trap surveys on the species to monitor their population and better understand their distribution and habitat requirements across the area. This will help us plan conservation for the species. 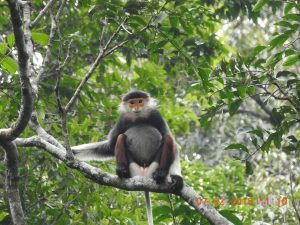 Obtain data to research on several aspects of biodiversity to inform conservation action and advance scientific knowledge. 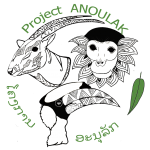 We work in collaboration with the Junior Research Group: Biodiversity and Biogeography of Southeast Asia at the Leibniz Institute for Zoo and Wildlife Research (IZW), Germany for a landscape wildlife monitoring approach in the Annamite mountain range; we use a systemic protocol develop by IZW. To learn more about cats and small carnivores in Nakai-Nam Theun, read our publications. Environmental DNA (eDNA) is an innovative and non-invasive technique that consists of collecting water samples in nature and extracting from it the DNA from animals that came in contact with these water source, to confirm their occurrence in an area. In addition to using the method for several of our research projects (notably for otter surveys), we are contributing to the development of this ground-breaking technique. 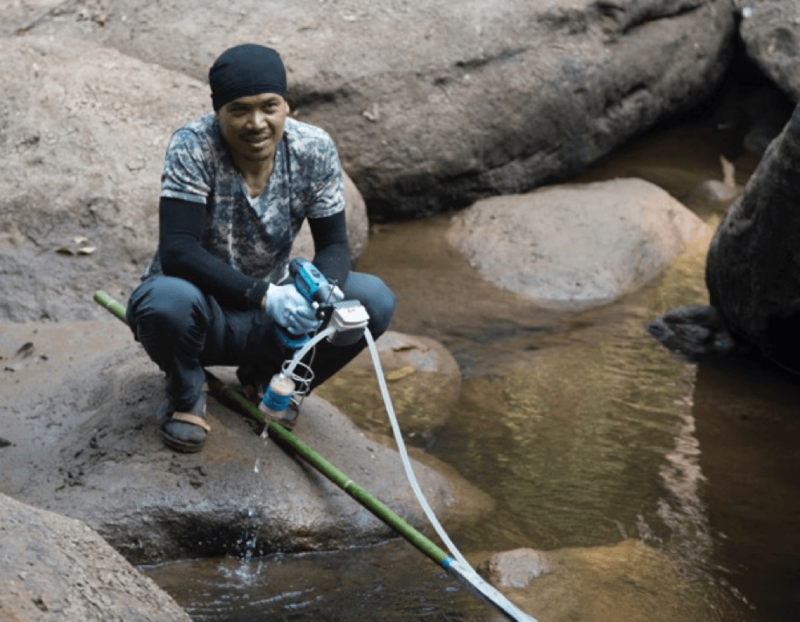 In 2018, we initiated a collaboration with VigiLIFE, Spygen and Beauval Nature to conduct eDNA surveys in Nakai-Nam Theun.